Lisbon is one of the last cities in Europe that has vast extensions of self-built houses: bairros de barracas, constantly subject to destructive planning moved by public administration and private investors. What happened with the Euromediterranée, an ambitious project that costed over 3,5 billion euros, and that transformed 480 hectars? Can we get rid of it by simply calling it gentrification? A commentary by two Italian planners, R. Marchini & A. Sotgia. 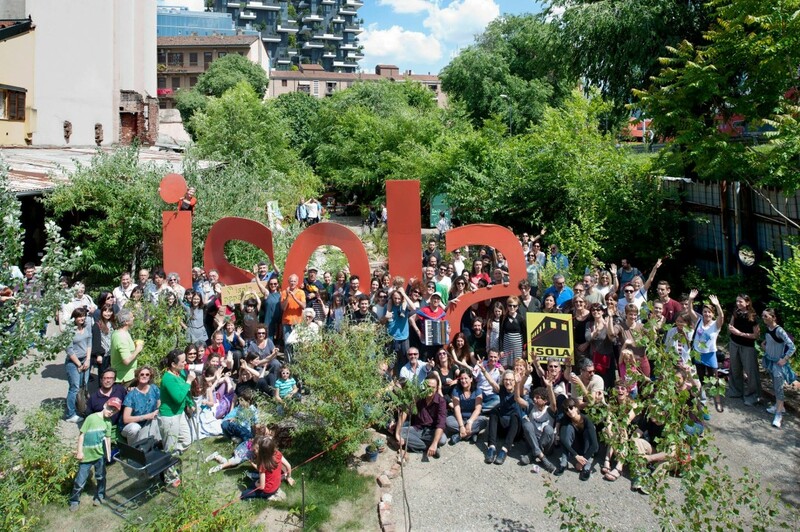 In crossing the Isola neighborhood in Milan, whoever knows Barcelona suffers a kind of déja vu. 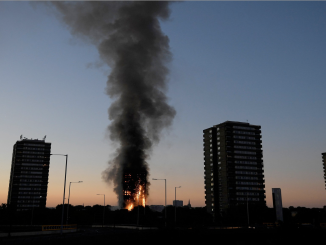 The same buildings, the same companies, the same destruction as in Poblenou in 2004. Nouvel is replaced by Boeri, and the Universal Forum of Cultures with the Expo 2015. Few people know that Rome has a coastal line. 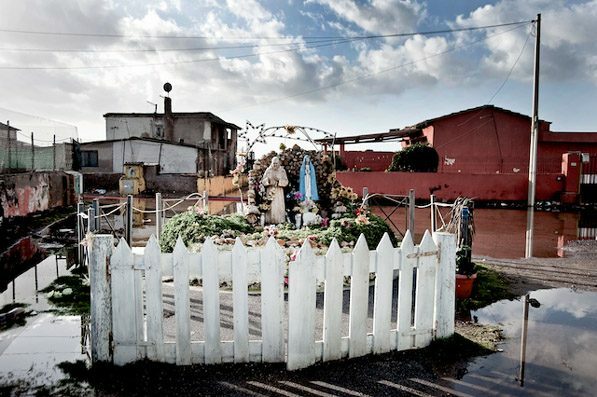 Where the Tiber river meets the sea, lies the last self-built neighborhood of the Italian capital: Idroscalo, where Pasolini died, and where 500 families have been fighting during half a century against the threat of urban renewal. 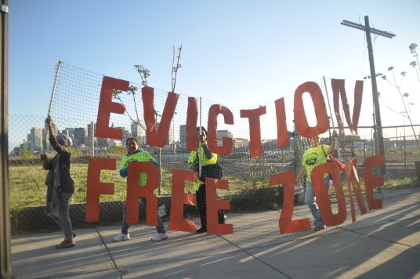 Boston has today the highest income divide of the US: evictions invariably hit latinos or afroamerican neighborhoods. City Life / Vida Urbana since the 1970s keeps building a network of mutual aid among those who suffer the consequences of these housing policies, also through the use of theater, rituals, symbols. 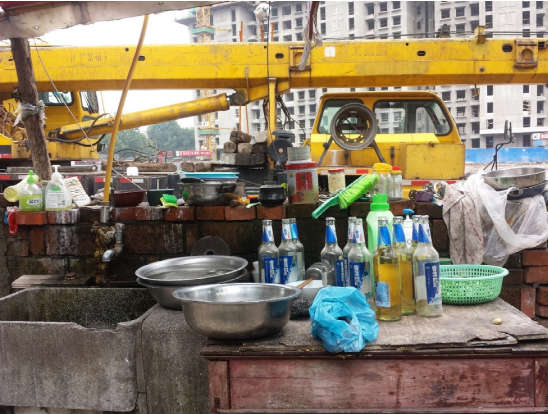 The anthropologist Ye LIN invites us to look at the demolition of a neighborhood in Nanjing - very near to the spot in where the Youth Olympic Games were held in 2014. Ye studies the impact on the residents of the whole process, also highlighting how our idea of "community" influences the way we judge this kind of interventions. 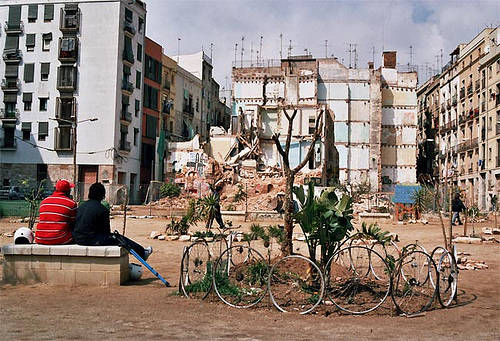 Stefano Portelli's La ciudad horizontal (Bellaterra, 2015), a research on Bon Pastor's 'casas baratas': a neighborhood where no serious fieldwork can be led without getting involved, without challenging the existing barriers, without revealing clearly the aims behind the research itself. In this case, those are to influence urban planning, to stop the demolition of the neighborhood, and to demand an active role for the residents in the transformations of their territories. On the occasion of the opening of "Australian 'Ndrangheta", webpage of a UCL research group of which our friend Stephen BENNETTS is a member, we propose a series of interesting videos and texts from the other corner of the world, on topics such as the expulsions of Aboriginese from native lands and urban neighborhood as Sydney's Redfern. 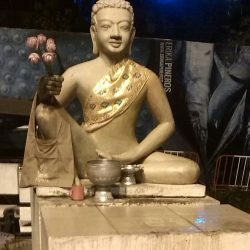 It has been ten years from that memorable night in which, after many months suffering the insolence of the city council, the continuous police harassment, and the arrogance of real estate investors, finally we returned them the blow. When various hundreds of inhabitants and sympathizers demolished the wall with which mayor Joan Clos ordered to encapsulate the Forat de la Vergonya, we understood that revolt is nothing more than the ultimate possible rational act against a governmental order based on the dispossession of the commons. The history of the neighbourhood of Ciudad Meridiana is a perfect summary of Barcelona’s urbanistic schizofrenia. Built in the Sixties on a land accounted as too damp to build a cemetery, with no transportation or services, secluded and unfit to live in, but with a strong neighbours’ movement, it has always been a problematic territory, unknown to the rest of the population: many of its inhabitants started to leave it already in the Eighties, trying to climb socially and spacially, getting over the decade in which the neighbourhood population reached its peak. 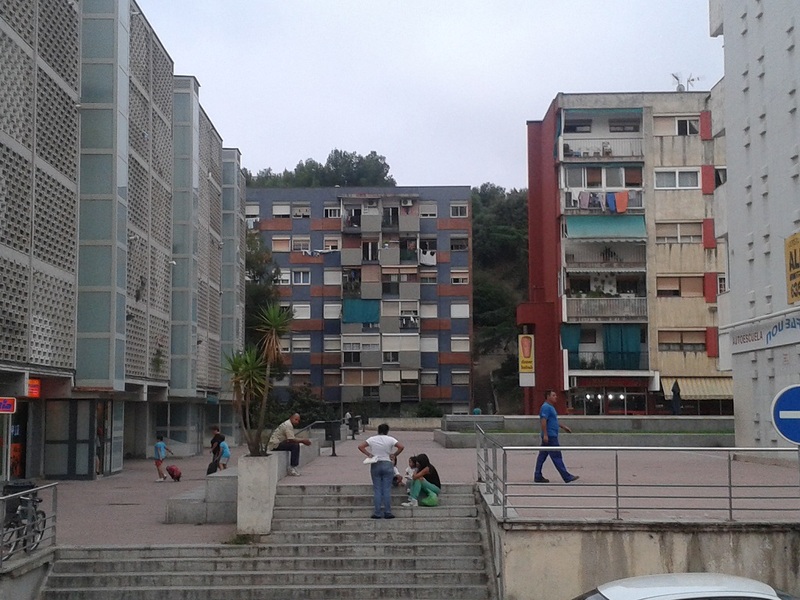 Since 2001, when Catalonia and Spain were still inside the “housing market bubble”, the immigrants began arriving to Ciudad Meridiana, through mortgages the banks offered crossing the endorsements, and through other tricks that the financial capital used to “infiltrate the world of the urban poor”, as anthropologist Jaime PALOMERA writes in his essay about the neighbourhood. After the crisis began, Ciudad Meridiana was described as an eviction city, and now again for its strong neighbours and squatters movement. Recently there was an interesting debate: the City Council proposed to establish there an innovative “FabLab” related with MIT, but the neighbours reclaim that same spot for a food bank, much more useful to face the growing poverty of many families [see article here]. 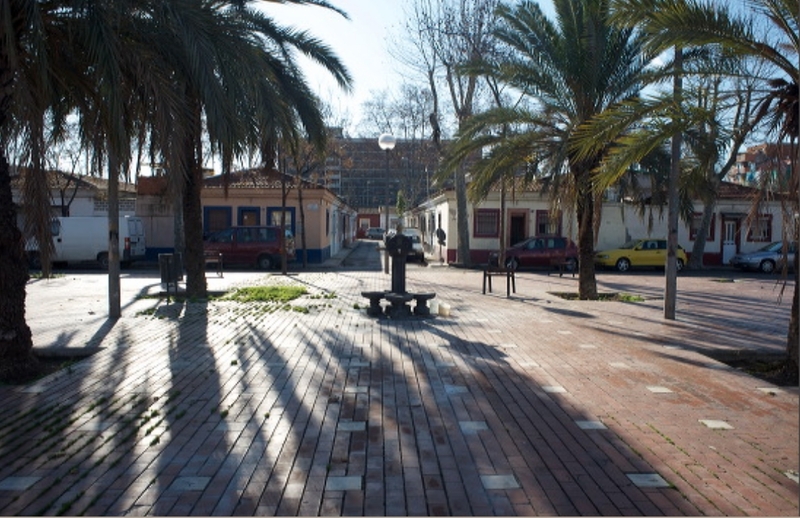 Ciudad Meridiana PHOTO ALBUM by José Mansilla, 2013 (and one 1966 photo). Outsized buildings erected suddenly and without any order; the police occasionally killing protesters; traditional healers slowly converting the millions of ghosts of the genocide in ancestors and protectors of the land. A look on Cambodia's capital. Homegrown cities: THIS is sustainable development! The activists of URBZ collective (of which we wrote in a previous post) are promoting a crowdfunding campaign to develop a plot of land in the neighbourhood of Bhandup in the northwestern suburbs of Mumbai. Their intention is to build there an affordable house, compatible with local construction styles: “homegrown“, and produced in collaboration with local constructors. The house will be sold at reasonable conditions to residents, thus providing the funds for a new project. The idea is to contribute to develop better life conditions for the residents of the so-called “slums”, without depending on international aid or having to rely on NGOs. 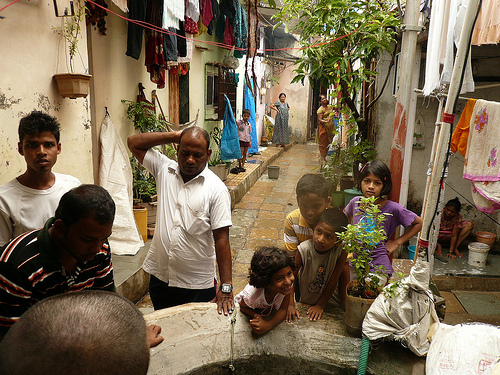 This homegrown development works against the logic of the big eviction and relocation projects promoted by the state: as happened too often, these top-down projects end up eradicating the population and forcing them into vertical housing blocks, which represent the degree zero of architectural, urban and social thinking, and have been responsible for countless man-made urban disasters in poor and rich countries alike. Interview with Amar Mirjankar, a local contractor the activists are working with [video]. 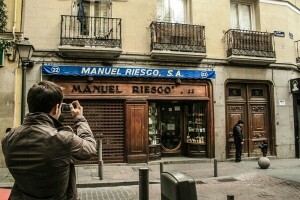 On february 9th, 2013, Todo por la praxis (TXP), a group from Madrid, organized the first of its programmed critic and photographic walks focused in the process of gentrification which is happening in Madrid’s city centre, specifically in the historic neighborhoods of Malasaña y Chueca. 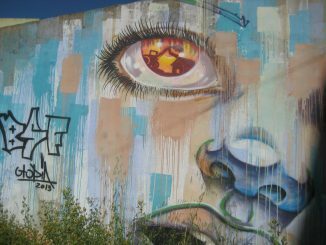 An enterprise of real estate developers, in need for new investments in an era of financial cuts and economic contraction, with support from the City Council, promoted a “programmed gentrification” of the area, which has been renamed Triángulo Ballesta (TriBall). The new triBall brand inspires from NYC’s business zones like SoHo and Tribeca, in an attempt to replace and erase the identity of this popular area of the city. “Gentrificatour intends to generate an archive of pictures of posters, labels and luminous of the commercial and productive activities that existed in the neighborhood before their replacement. […] The intention is to build a time-capsule that will allow us to evaluate the effects of a process of gentrification, and, in this way, to make them more visible” we read in TXP’s website. 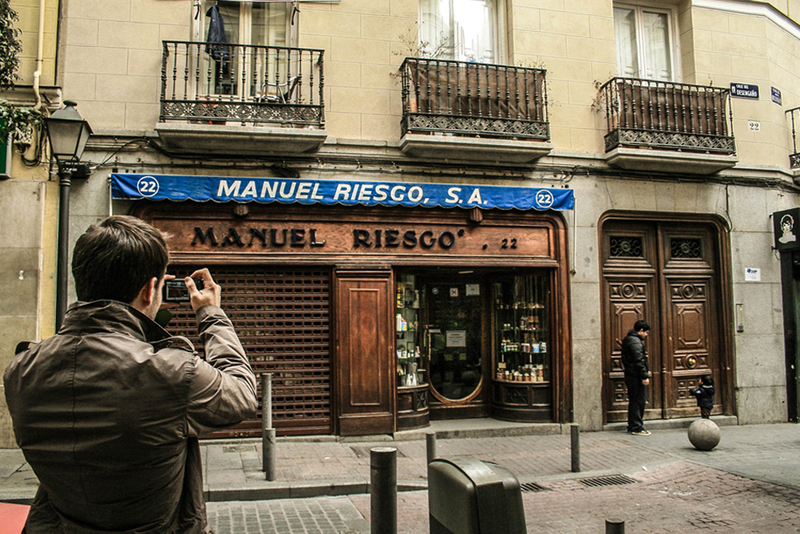 Victoria Herranz, photographer and anthropologist from Madrid, part of the group, explains: “Does Malasaña exist? Maybe; or maybe it exists in a different way. 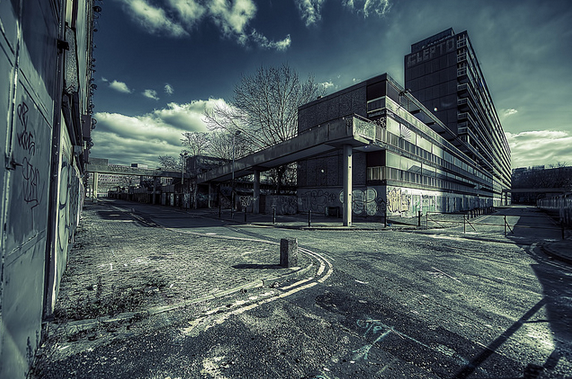 […] The line that divides the rehabilitation of a neighborhood from its destruction is too thin. When a process of rehabilitation limits the options of the neighbors to the point in which families have to leave the neighborhood, maybe something is going wrong”. “Gentrificatourtriball” on Paisaje transversal: negociación urbana para la transformación colectiva blog.